My doctor tells me I need more flaxseed in my diet. OK, I lie. I read somewhere that eating flaxseed helps attack one’s belly fat. And I need all the help I can get. 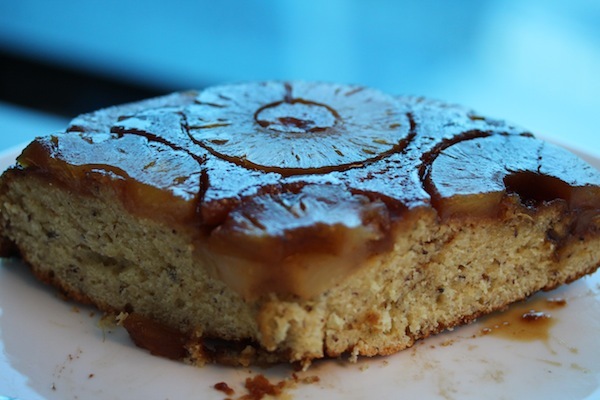 So to cut the guilt of eating one of my favourite cakes — pineapple upside down — I’ve incorporated flaxseed into a modified recipe by baking guru Christopher Kimball. I’m pretending that the flaxseed will negate the fat from the butter… making this a zero-calorie cake. If only. 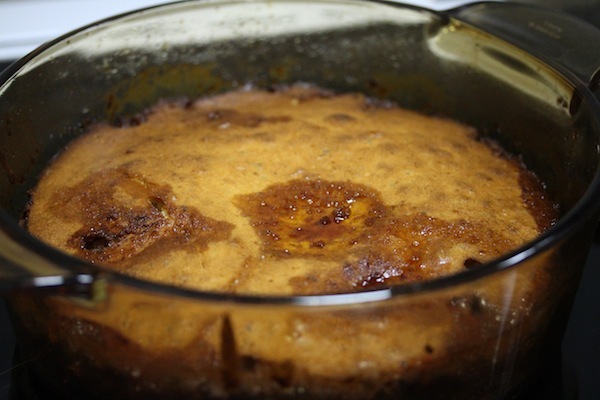 Still, it’s a terrific treat and takes less than an hour to make from start to finish. 1. 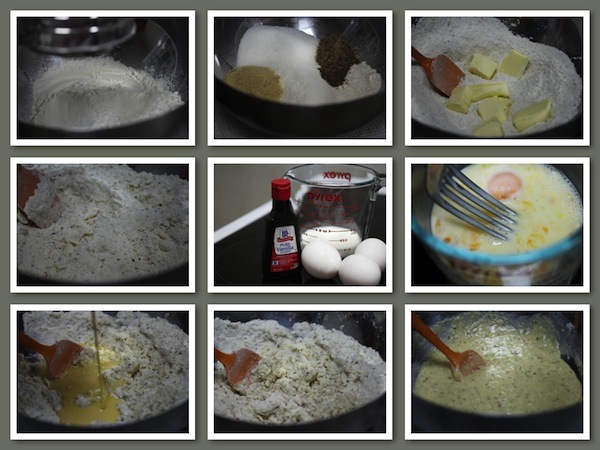 To make batter, sift flour and baking powder together into a mixing bowl. 2. Add salt, both sugars and flaxseed to combine. 3. Using a spatula, fold in the butter evenly till you get course clumps. 4. Beat eggs with milk. Add vanilla and beat some more until you get a smooth solution. 5. Pour half into dry ingredients, mix. Pour the rest and mix until you get an even batter. 6. 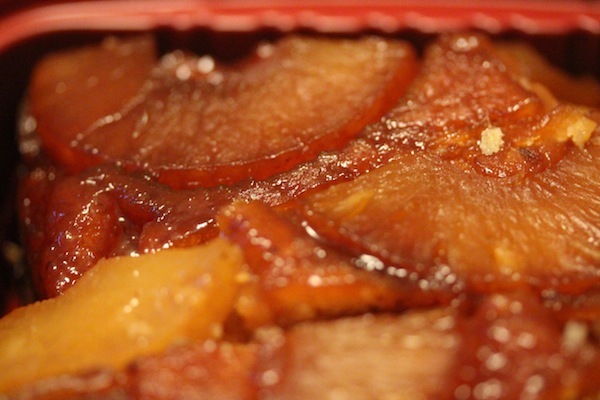 To prepare the fruit, melt the butter in a cast iron pan or Dutch oven. 7. When melted, add sugar and turn heat to medium high. 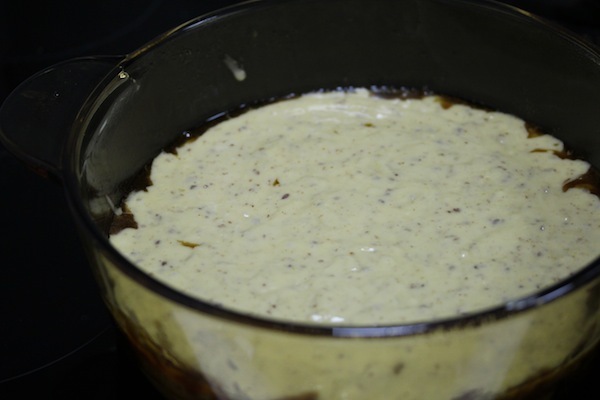 Boil for about a minute or two until the mixture caramelises. 8. 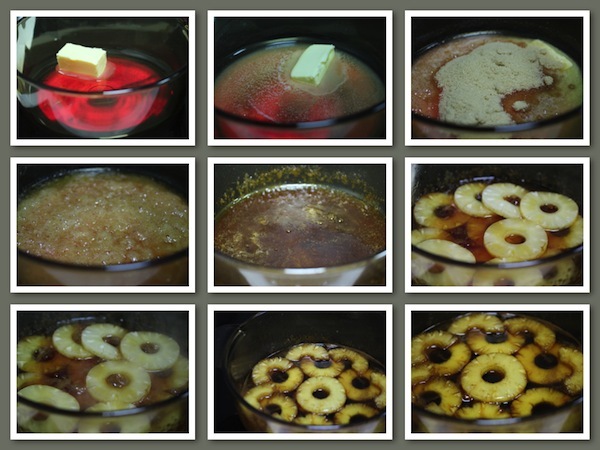 Add pineapple rings and cook for about four minutes until the mixture thickens. 9. Turn off the heat. Then pour batter over the fruit. 10. Bake in oven at 350 Degree Fahrenheit or 180 Degree Celcius for 30 minutes. 11. The top should be golden by now. Remove from oven and invert onto a serving platter. 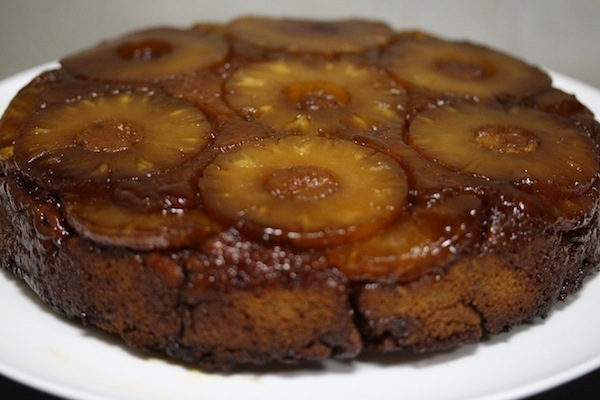 This entry was posted in Recipes and tagged baking, butter, cooking, desserts, fruit, gourmet, healthy, memories, oven, sweets, treats, vegetarian.